Okra restaurant welcomes you to the world of tales; here we bring you an epoch-making splendour of taste. You no longer have to wait and search for a perfect dine space to explore the best flavour. We travelled all around the globe to find & pin those special food to our menu. Here we are gladly sharing the chronicles which amused us. Each cuisine has its own anecdotes. On each day we will surprise you with new tales to relish your food. Those surprises will provide a wrathful journey to the world of stories. Blending indigenous ingredients and cooking techniques with influences from Indian, Chinese and a host of other world food traditions. 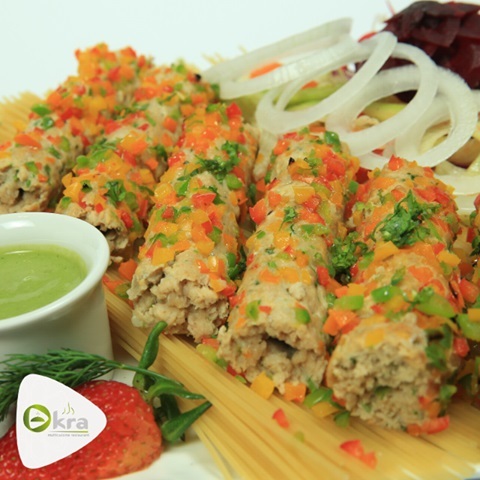 Let’s rejuvenate those epics at okra restaurant, Bahrain.